2 Oct 11 – Mount Anak Krakatau has been raised to “standby” or level IV status after 2745 earthquakes struck the area by noon today, said Surono, of the Center for Volcanology and Geological Hazard Mitigation (PVMBG). The quakes – which are now continuous – were felt along the entire island of Anak Krakatau, Surono added. The PVMBG recommends residents not to approach the mountain within a radius of 2 kilometers. There are currently six volcanoes in Indonesia on standby status, said Surono. Son of Krakatoa, Lokon, Karangetang, Papandayan, Tambora, and Children Ranakah. Anak Krakatau or Child of Krakatoa, is a comparatively new volcanic island. It rose out of the water in August 1930 by producing lava flows faster than the waves could erode them. Still active, Anak Krakatau has grown at an average rate of five inches (13 cm) per week since the 1950s, or about 22 feet (6.8 meters) per year.
? I am thinking the picture is OLD stock footage? it hasnt actually erupted so far? do the “panic” the seas are rising mob factor the displacement of this island into their figures? Anak Krakatau is being fed from the same magma chamber as its predacessor. Krakatau was a seriously dangerous volcano due to it being at a kink in the subduction fault that causes the production of more magma than usual. Basicly the Australian plate is converging and subducting from two directions at Krakatau. So yes this mountain has to be constantly watched and the local populations really do need to be warned in time of any event that requires civil defence measures to be taken. Is it me or am I correct in thinking that the general public like to call scientific findings and data a wild eyed far fetched conspiracy theory and prefer to believe politicians, entertainers and the media. Anak Krakatau has been erupting for quite some time. That may or may not be an old picture. There is quite a lot of lava flowing down the sides of the child quite regularly. With regards Krakatoa’s history, the way the parent volcano erupted in 500 AD or so, and the 1800s, there is probably no way you can warn these people to leave unless they do it now. The volcano explodes when it finally pops, if you will, it doesn’t just continue to flow lava down the sides, spitting rocks in the air, and pushing up ash and steam. 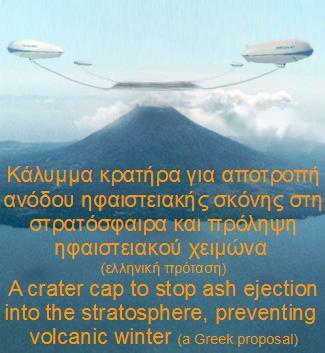 When and if it does erupt, should it do so as its parent did, it will go off just like Mt. St. Helen, but likely to be a lot louder and with a far greater volume of ash. The volume of rock it may move, after all, doesn’t have to be above sea level. There is no reason that it can’t start from far deeper, and if that should happen, I would not want to think of what that tsunami will do. We live in fascinating times – sometimes, grimly so. Laurel: No it havent erupted yet, the photo used above is old stock photo. Most likely it will erupt soon, refering to statistical data of Anak Krakatau, it usually does after an increase like this. It hasnt erupted strombolian eruptions since the beginning of August 2011. However seismic activity is indicating that a new phase of eruptions is due soon. I think the seismic activity Anak Krakatau shows now is quite usual for the volcano. Last november 2010, it had almost the same amount of seismic activity, before it erupted. Im at Krakatau every month or so. Last time in August, only gas emissions were seen. In June, I witnessed strombolian eruptions. I’m a bit confused. Is this the same volcano that had s supereruption back in the 1880’s? Could this pending eruption be as bad? No, that is old footage.